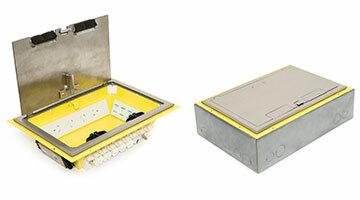 Soft wired or hard wired. 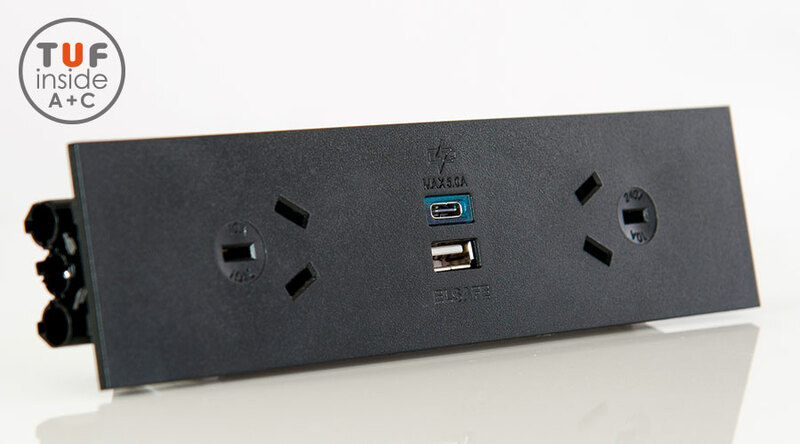 TUF A+C USB fast charger inside. 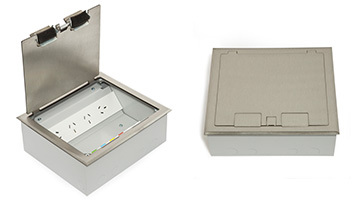 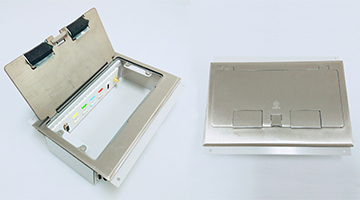 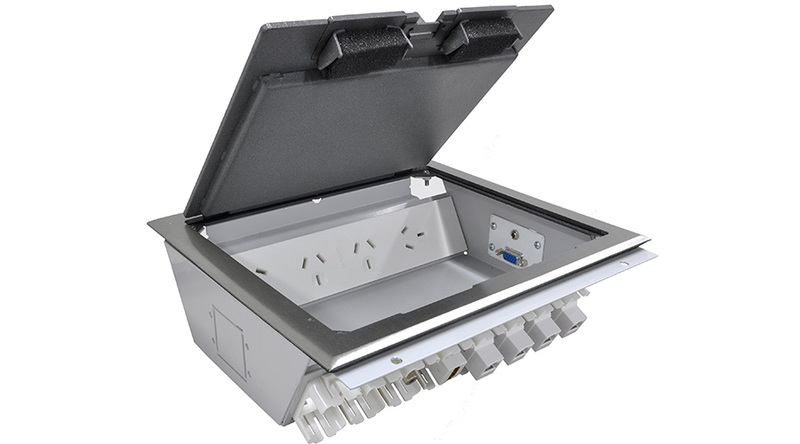 Fits OE Elsafe rails & in-desk boxes. 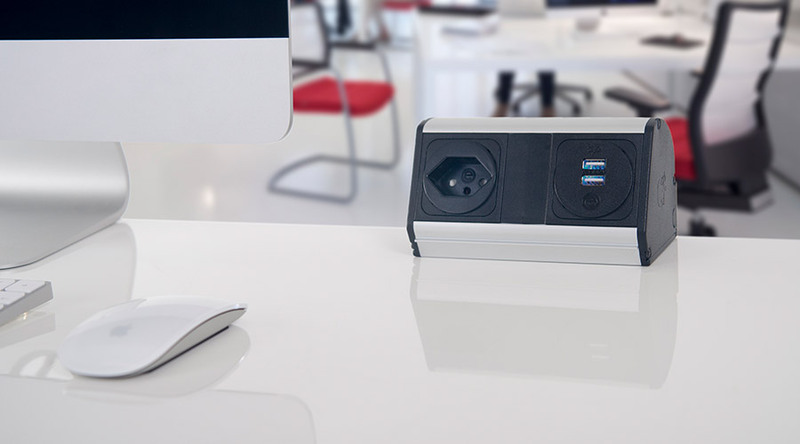 Qikfit 2GPO TUF combines OE Elsafe’s Qikfit power and TUF A+C fast USB charging in one compact unit. 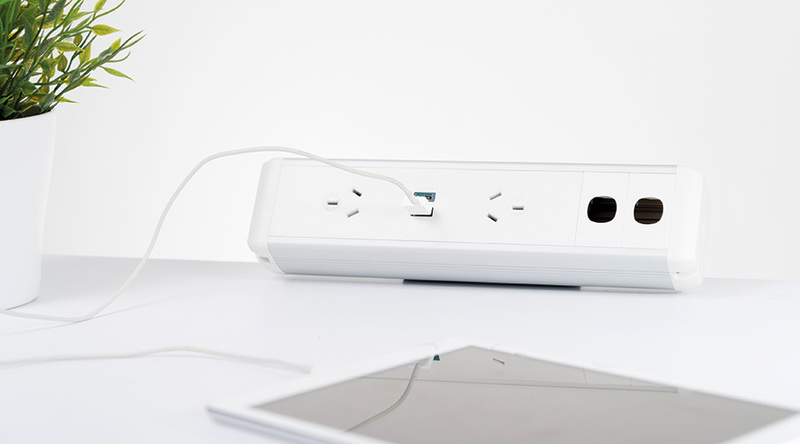 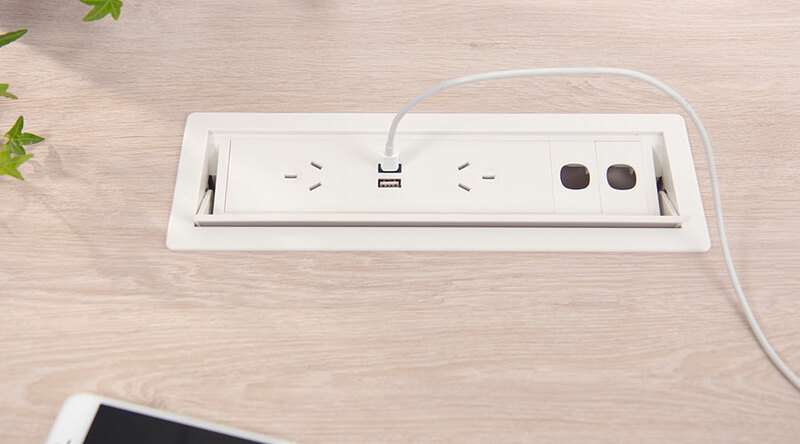 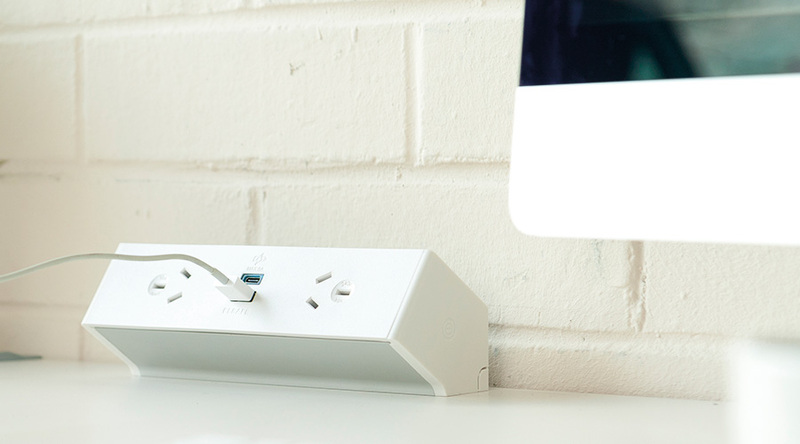 Delivering 5A of power across two USB ports, TUF A+C will simultaneously charge two devices at speeds comparable to or faster than the device’s own chargers, utilising IDR (Intelligent Device recognition) ensuring optimum charging rates. 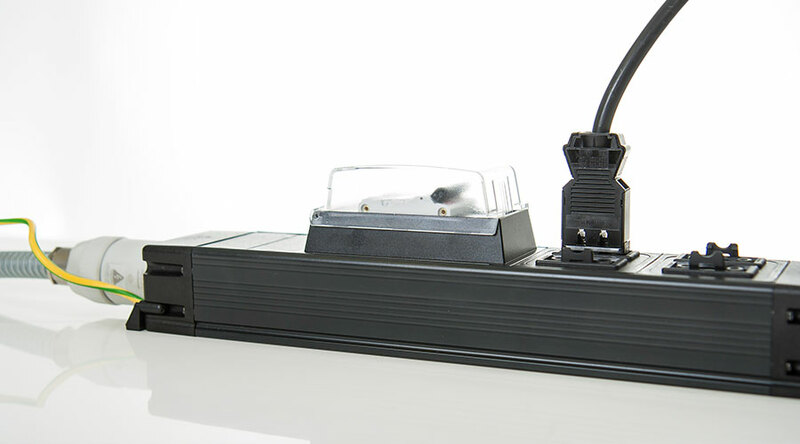 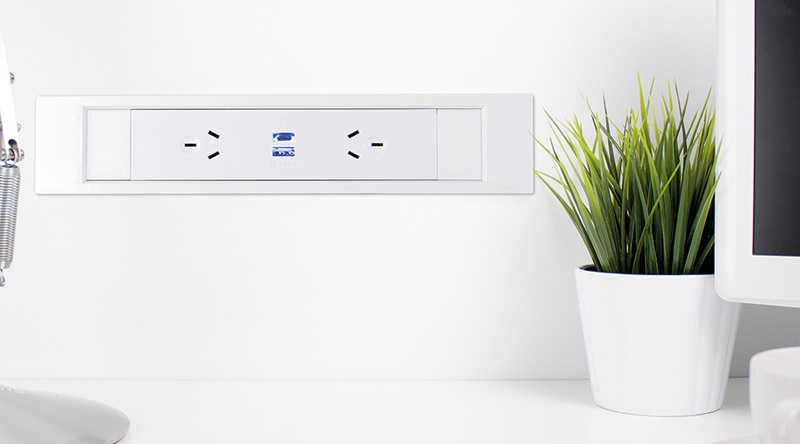 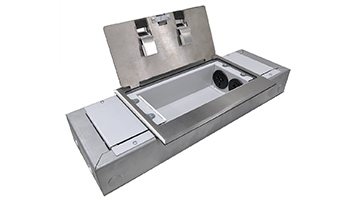 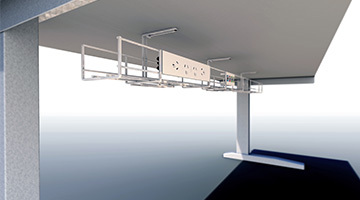 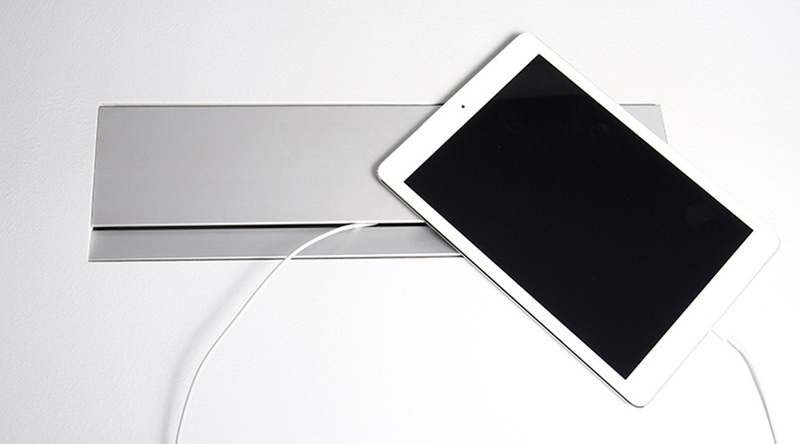 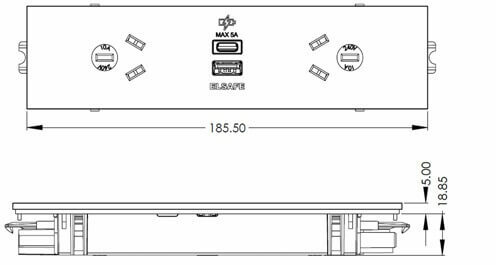 The Elsafe’s Qikfit power series is designed to fit the OE Elsafe’s range of rails and boxes as well as industry standard cutouts All sockets are auto switched for a clean sleek look and efficient operation. 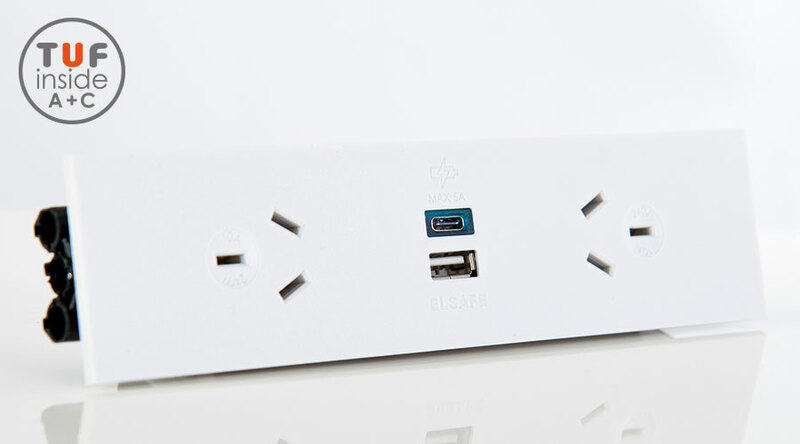 option which incorporates a cable with the OE Elsafe J-Coupler on the end. 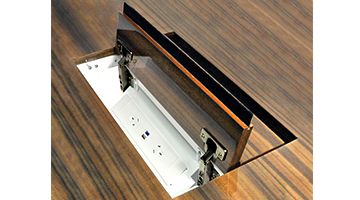 Panel mount clips for surfaces 1mm to 3mm thick. 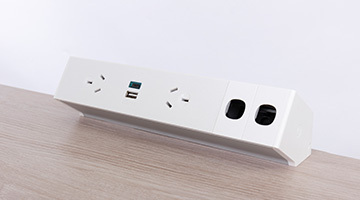 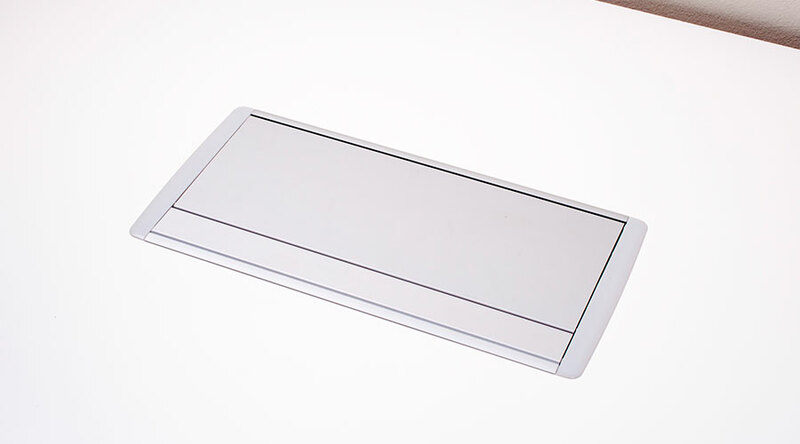 When used in conjunction with the Qikfit Thick Panel Frame the Qikfit series can be mounted into panels from 3mm to 14mm thick. 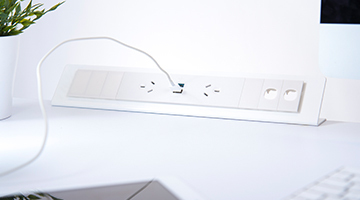 Qikfit TUF is for charging only; no data transfer is available as no connection to a computer is provided. 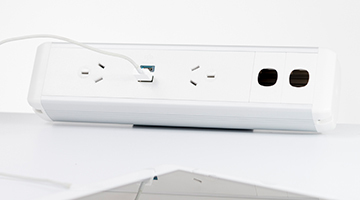 *Insertion lifetime refers to USB contacts only. 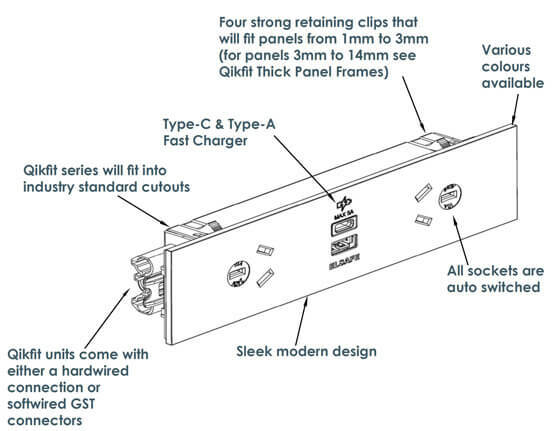 The Qikfit Thick Panel Frame has been designed to accommodate the Elsafe Qikfit Series in a screen or other surface from 3mm to 14mm thick. 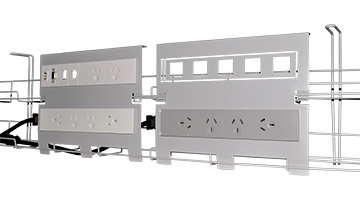 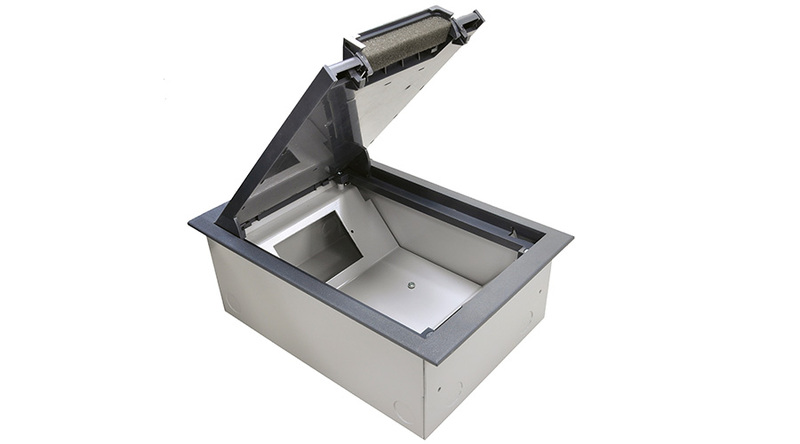 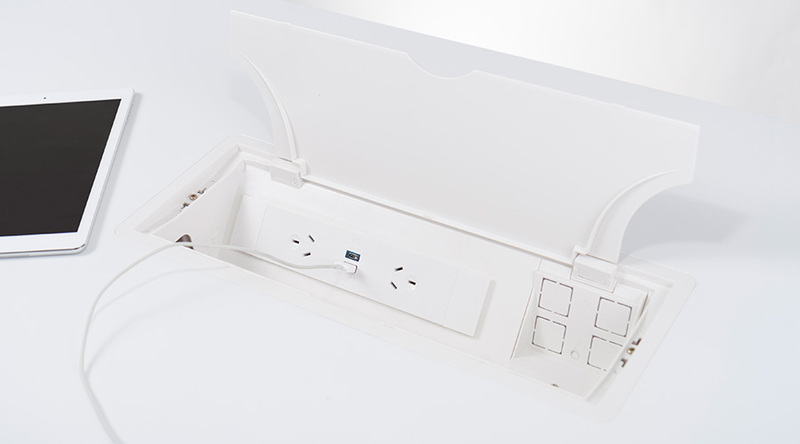 The sleek and easy to install frame comes in white, black or grey in a QF45 size only. 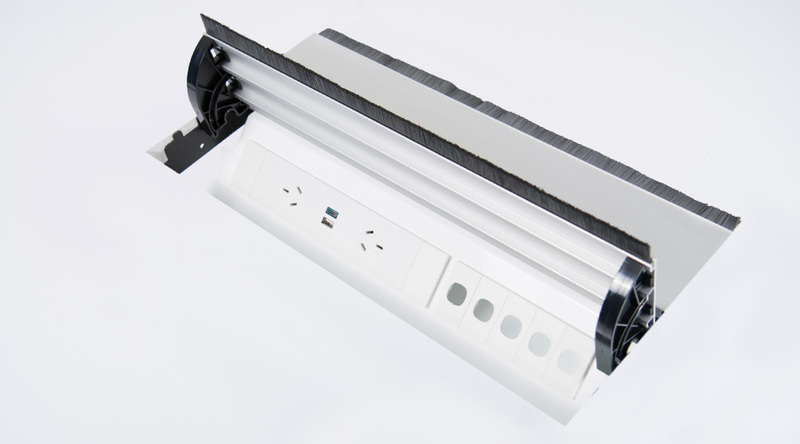 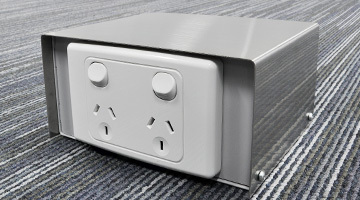 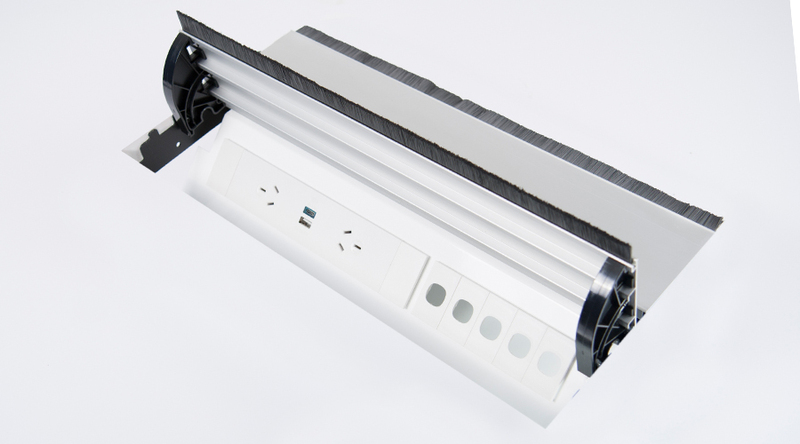 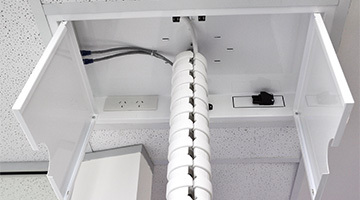 This is a brilliant cost effective mounting method that can be installed in a range of different configurations. 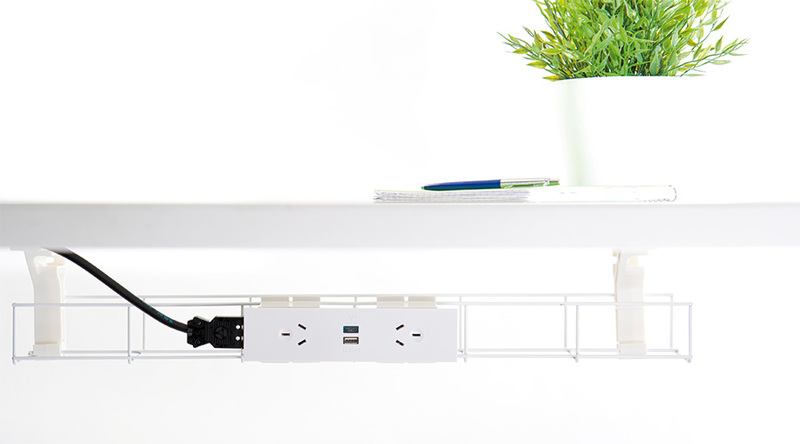 the clip to spring as required. 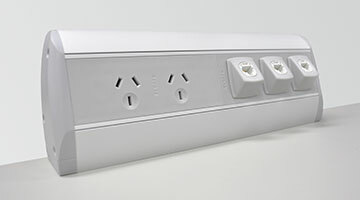 The clips are able to be adjusted for height variations in panels 3 – 10mm and panels 6 – 14mm thick. 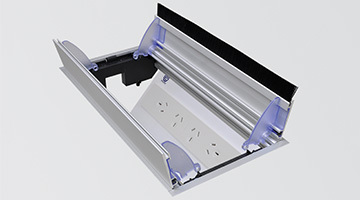 The three posts moulded into the frame are integral to the stability of the Thick Panel Frame. 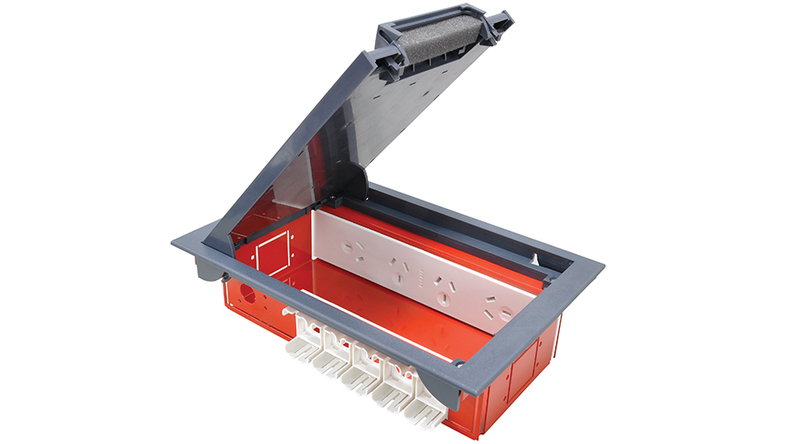 For installation of data (can fit up to 9 x QF5 tiles), these posts will stop distortion to the straight lines of the frame. 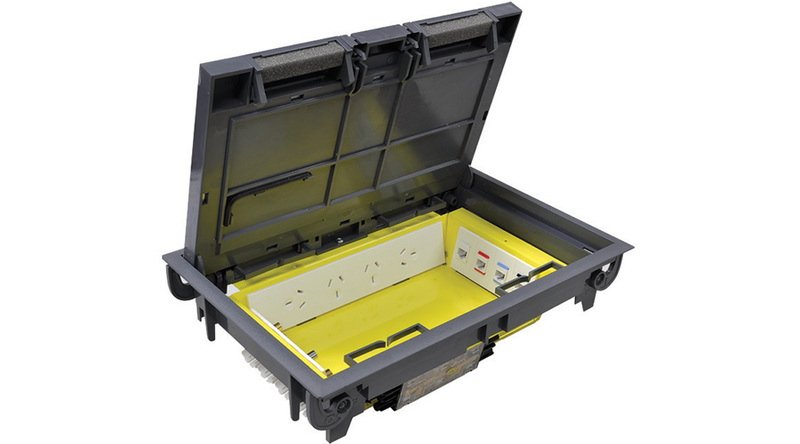 For Power or TUF configurations, these posts can be easily removed to accommodate the module as per below.